"Canada's Largest Agriculture Equipment and Technology"
Canada’s Farm Progress Show connects local producers and international customers with the latest in dryland farming equipment, technology, and innovation. 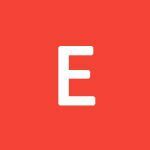 This event operates with the immense presence of agricultural products and equipment, agricultural technologies, production equipment, agricultural accessories and all agricultural correspondents in the agriculture & forestry industry. Attendees give the show thumbs up for the opportunity it provides to see the latest innovations and new products unveiled each year. The show was a great experience and will be coming back for next years event.What i think would be a great addition to the show would be for a breakfast buffet for the exhibitors before the show starts daily. It would allow for more networking. The Show was very exciting and we get lots ofinformations we are looking for. Service wasexcellent. Good opportunity to schedule encounters with those who are involved in the grains sector. 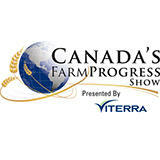 A lot of exhibitors will participate in Canada Farm Progress Show from different parts of the country. There are more than hundreds of companies who will exhibit their products and services in this world wide show. These companies products include latest farm and livestock equipment, buildings, fertilizer, feed, seed and much more. Some of the most frequent exhibitors will be manufacturers, distributors, suppliers, exporters and many more. Days Inn by Wyndham Regina Airp..
Best Western Plus Eastgate Inn ..
Hampton Inn & Suites East Gate ..